Oatville Elementary School students, staff and parents have been donating food items for Oatville’s annual holiday food drive. 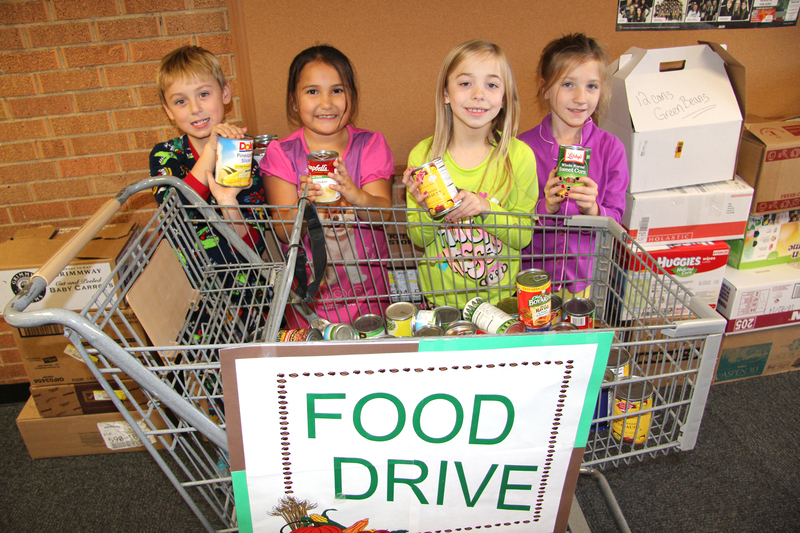 Second graders Brandt Smith, Arisely Gonzalez, Emmi Schrag and Regan May brought a shopping card of food up to the collection area in their school. The approximately 1500+ food items will be donated to Oatville families and a local church that assists the homeless.